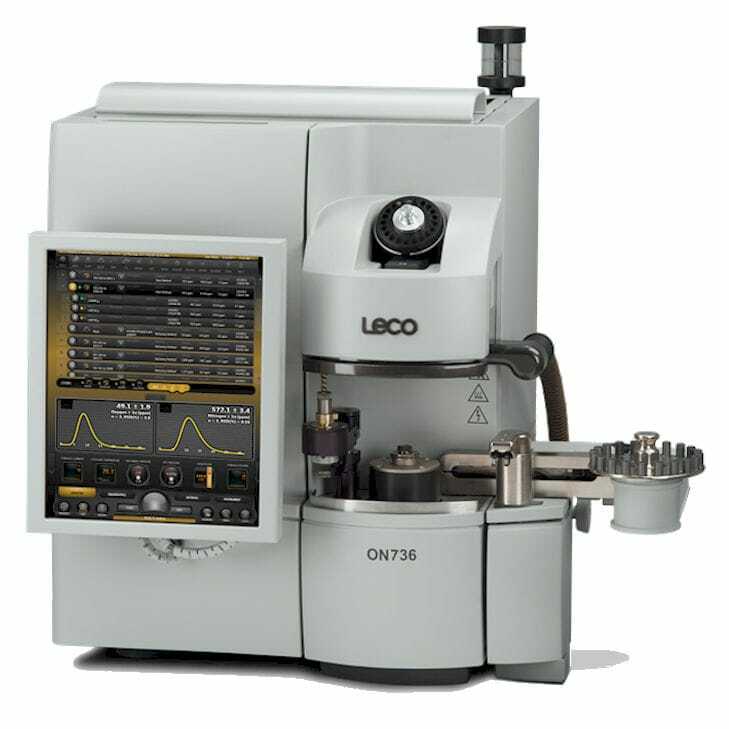 The ON736 series is manufactured by Leco Corporation, and is an oxygen/nitrogen elemental analyzer that is intended for routine measurement of oxygen and nitrogen content of inorganic materials, steel, ferrous and nonferrous alloys. 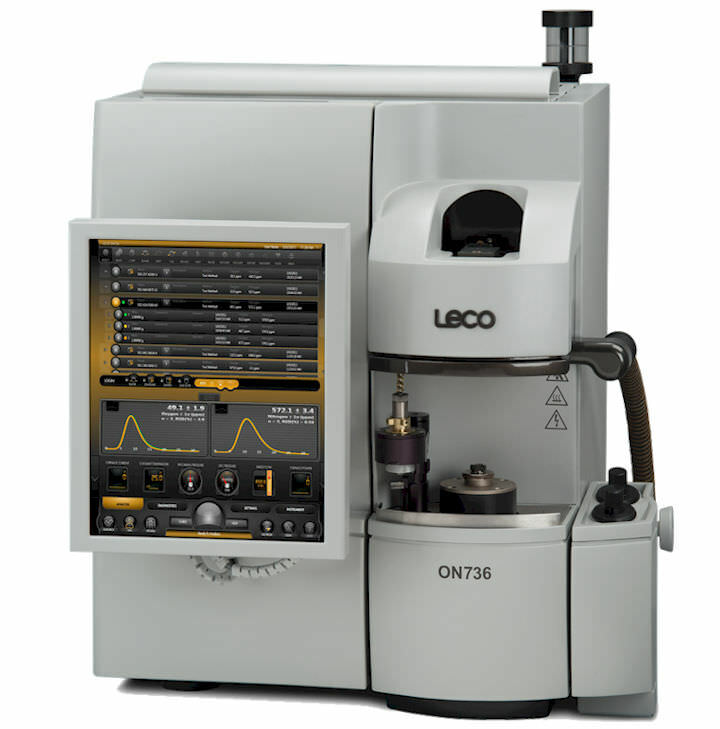 It complies with the ASTM and ISO standards, and is highly appropriate for elemental analysis of reactive/refractory metals, like Titanium, Tantalum, Zirconiumand their alloys. The unit has an analysis time of 100 seconds, which has an accuracy and precision to low-ppm levels. 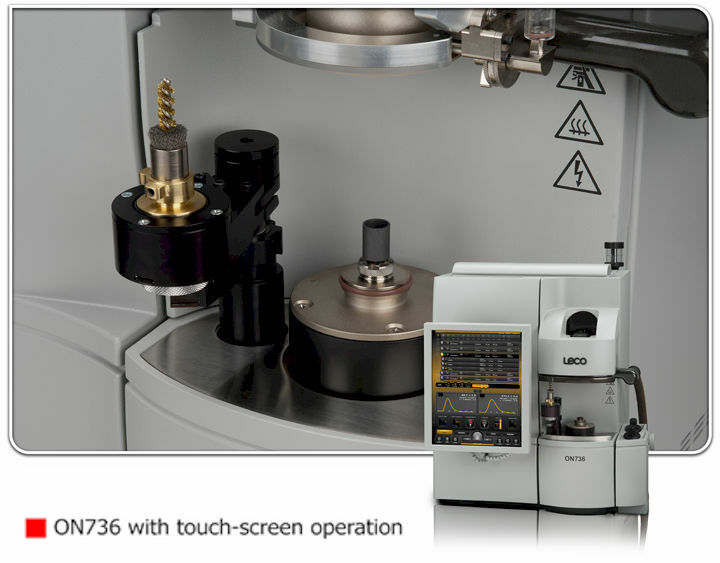 It also has a modern cornerstone software that is easy to use with reach functionality. There is a well constructed ergonomics and convenience of use with bench space saving, and also has a built in vacuum cleaner that keep the working area clean with high efficiency cooling.